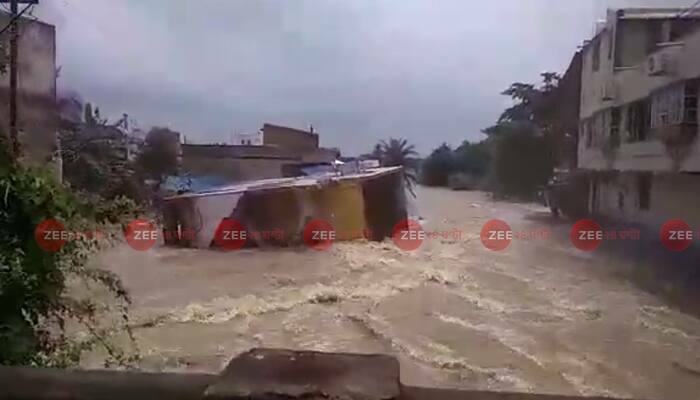 Torrential monsoon rains lashed Bankura's Junebedia and its neighbouring areas. 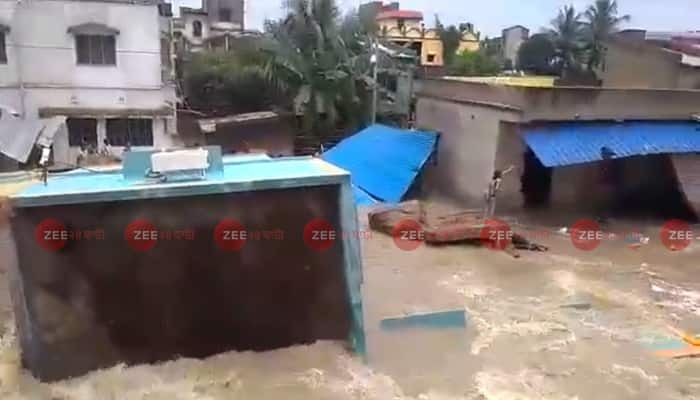 Torrential monsoon rains lashed Bankura's Junebedia and its neighbouring areas, flooding streets and crippling life in the place. People were seen wading through knee-deep water. There was also heavy water-logging in and around the place. 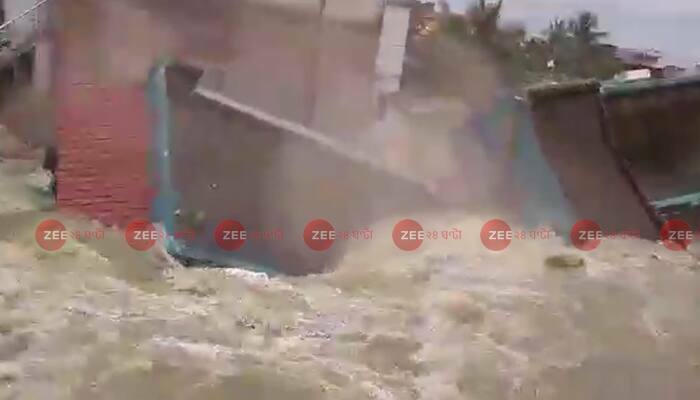 Two two-storey buildings collapsed in Bankura's Junebedia within two hours of rainfall. 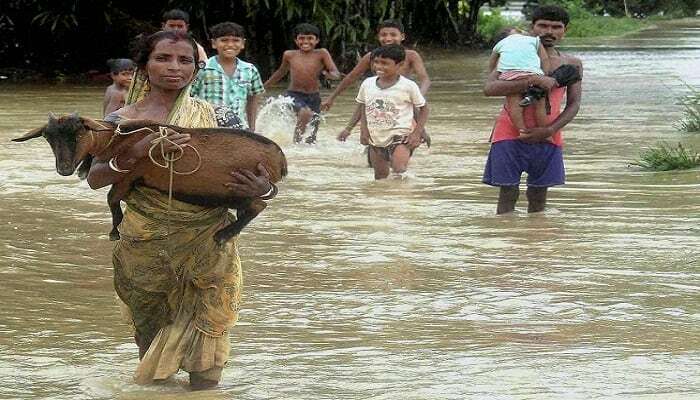 Flood in Bankura left several people in Keshiakole homeless. 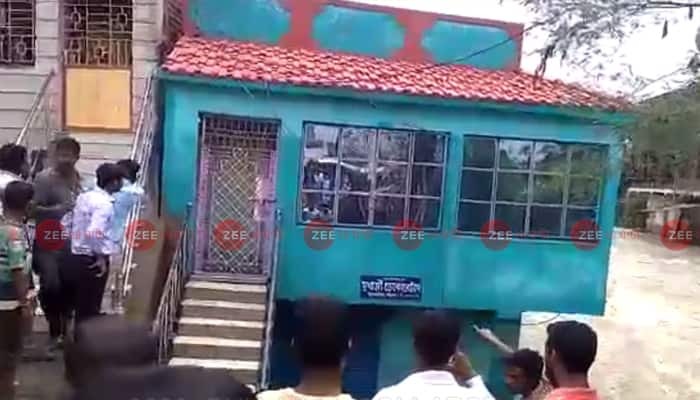 The local people carried out protests as the BDO inspected the place. The first building collapsed and the other collapsed within half an hour. 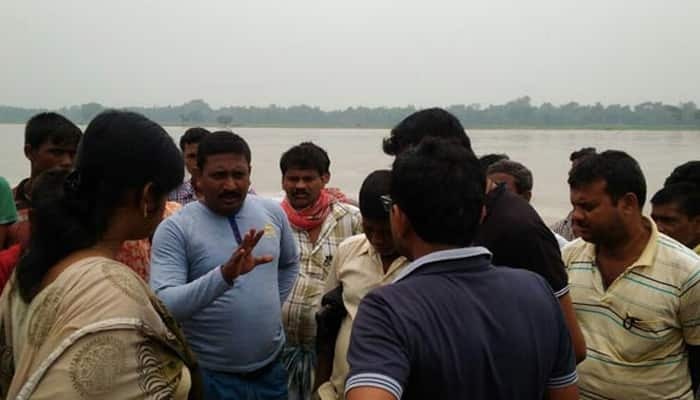 Gandheswari River overflowed due to 2 hours of torrential rainfall. The first building collapsed at 1.30 pm, while the second building collapsed at 2pm. 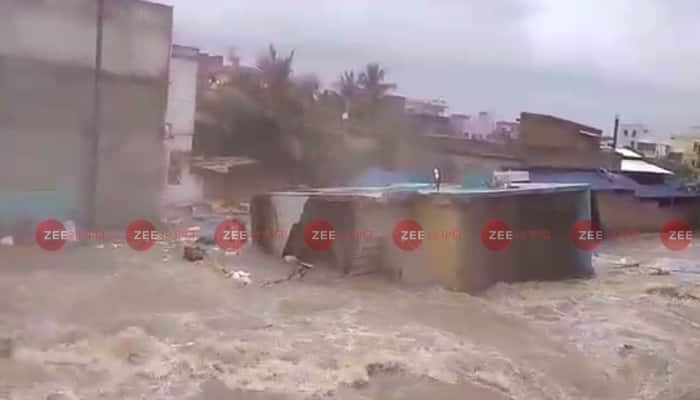 Nearby water body flooded and damaged the buildings. 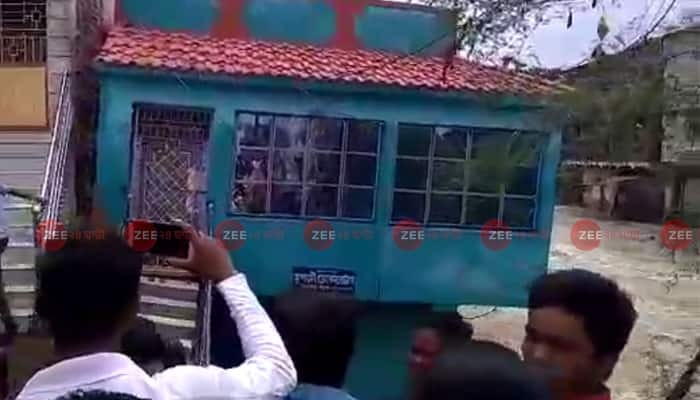 Villagers saving the people trapped inside the building. The force of the water was so much that the remains of the building was washed away 50 metres. 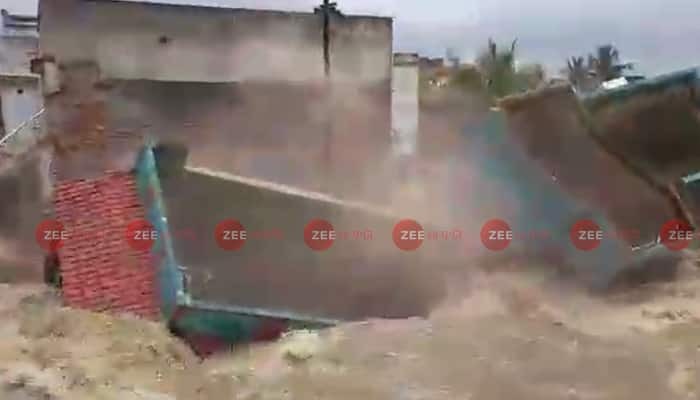 Second building collapsed at 2 pm in Junebedia. 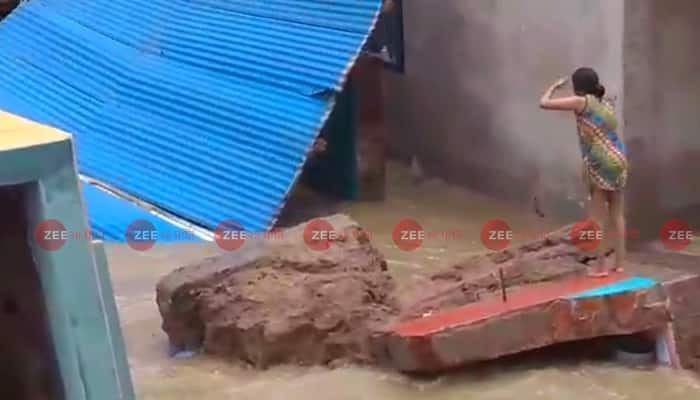 Woman standing on the debris in front of her collapsed house. Police have advised people not to enter the place right now.